This will be a short circle this month as it is to finish what was began on the last New Moon in May. There will also be an adept ceremony at the end. For those who attended the New Moon gathering on May 25, 2017, you will tell us if your goal was reached or if it is still in progress. For those who did not attend that gathering, you will not need anything. Lady Beltane: I call upon Hecate and Mother Earth to walk this circle with me to provide protection to all inside from negativity. To protect those outside of our circle that nothing we do may cause them harm. We will take 2 minutes to allow the energy to rise within ou circle. Everyone: One at a time please share with your coven how your goal you set at the New Moon gathering was met or if you are still trying to achieve it. LADY BELTANE – Will those who are seeking to be initiated into our coven tonight as full members and to study as an adept please come forward. Amber: Please type in – I now stand before our High Priestess and our Coven. Lady Beltane: Do you stand before us of your own free will? Lady Beltane: Do to you take a vow to keep the identities of all here presence a secret unto yourself? Lady Beltane: Do you vow to uphold the sanctity of our coven and keep all working within it unto yourself? Lady Beltane: By what name shall you be called by from this day forth within our coven and the pagan community as a whole? Lady Beltane: Please welcome _______ into our coven and community. Everyone: Please type in your welcome and/or blessing to our new adept. Lady Beltane – ______ please take your place back within our circle. You have received the blessings of the coven now please receive mine as well. May your time among us be filled with positive energy, love, and laughter. We thank you, Hecate and Mother Earth for your help in reaching the goals we set for ourselves and for those who are still working on theirs. We thank you for the energy and protection you have given to us here in this circle to tonight. Please go with our gratitude and love. The circle is open but not broken. May you all go in peace, love and remember you have been among your brothers and sister this night in friendship. 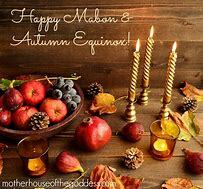 Blessed be dear ones.